Leeds could become the first ‘self-repairing city’ in the world by 2035 as robotics engineers work on developing drones that can prevent potholes. Chris Burn reports. Leeds, 2035. Moments after scanning a city road and identifying a crack in the surface around the size of a 50p piece on a night-time patrol, a drone navigates itself down to the site of the problem, lands and fills in the defect using a 3D asphalt printer. What could have eventually developed into a serious pothole is fixed instantly and the drone flies off to search for its next assignment. Professor Rob Richardson, from The School of Mechanical Engineering, at University of Leeds, along with his team are pioneering the use of robotic drone technology to repair potholes in the future as part of a Government-funded project called ‘Self Repairing Cities’. It is a scenario that, despite the increasing prominence of drones in daily life, still sounds like science-fiction. But for the past three years, a team of robotics engineers at the University of Leeds’s School of Mechanical Engineering have been making considerable progress on turning the concept into a reality as they work on a multi-million pound, Government-supported project to turn potholes into a thing of the past. Like almost every city and town in the country, Leeds has a considerable pothole problem – with over 10,000 reported to the council by members of the public between 2014 and 2017. But the city could soon be leading the way globally in dealing with the problem, as well as deploying drones to repair street lights and sending hybrid robots to live in utility pipes which they continually inspect, monitor and repair when necessary. It is all part of a wider scientific ambition called ‘Self-Repairing Cities’ that has the ambitious aim of ensuring there is no disruption from streetworks in UK cities by 2050. The vision for the project states: “With the aid of Leeds City Council, we want to make Leeds the first city in the world that is fully maintained autonomously by 2035.” Professor Rob Richardson, operational director for the robotics element of the project, says despite the major changes potentially on the horizon, it should not mean drones constantly buzzing over everyone’s heads. “We see them as being like urban foxes,” he explains. “There are not going to be drones over your head constantly. You might see them in particular times of day in particular places but you won’t see them all the time. It wouldn’t be invasive.” The drones could be in operation in Leeds by 2035. The five-year project, officially called ‘Balancing the Impact of City Infrastructure Engineering on Natural Systems Using Robots’, started back in January 2016 after £4.2m of funding was secured from the Engineering and Physical Sciences Research Council. It was one of seven ‘Engineering Grand Challenges’ awarded money by the agency to provide innovative solutions to issues such as tackling air pollution. The Leeds scheme is also being supported by researchers from the universities Birmingham, Southampton and University College London, with project partners including Leeds Council, Balfour Beatty, the National Grid and Yorkshire Water. One of the main achievements of the projects to date has been combined work by the UCL and Leeds teams on developing 3D asphalt printing technology – which Richardson describes as a “world-first” – that can be used by the drones. Work is now taking place on developing a scanning and decision-making system for such drones. Richardson says there are other possibilities for identifying small cracks in the road surface, such as through self-driving cars, buses and bin lorries that would have scanners attached to them as they went about their normal operations in ‘smart cities’ that use electronically-collected data to manage resources such as traffic lights effectively. The system would also allow for temporary road closures if necessary when drones are working on repairs. The investment of public money is dwarfed by the amounts currently spent on dealing with potholes alone. In last October’s Budget, Chancellor Philip Hammond assigned an extra £420m to local councils for tackling potholes on top of an existing fund of £300m, while the annual cost of resurfacing roads in the UK is estimated to be more than £1bn. Richardson says the potential benefits go beyond immediate financial implications. “Right now, if you have got a bad pothole, you need people, big vehicles and disruption through closing the road and causing pollution to get rid of it,” he explains. “We want to change that and repair things before they become potholes.” Richardson adds the current costs for repairing potholes are difficult to estimate. “You can look at the cost of a person and the hours they work to do it. But the real cost is if there are not prompt repairs, roads gets further damaged. If you have to close roads for long periods of time, congestion and pollution builds up. There are wider costs far more than a worker’s hourly rate. Our vision is by 2035 to have this kind of technology in a city, with potentially Leeds being the first one. Our grand vision is by 2050 that the whole of the UK will have self-repairing cities. At the end of the five years we want to show what can be done.” How Leeds could become world’s first city to use drones to prevent potholes While such changes may make life better for drivers and council budgets, there would obviously be an impact on employment as technology may make many jobs redundant. The hope is for a “win-win situation” where better jobs are created, taxpayers’ money is used more efficiently and our air, water and wildlife are protected – but a mid-term report examining the progress of the project to date has suggested it may not be quite so simple. “In the past, every industrial revolution has seen existing jobs become obsolete, labour being replaced with machines, and yet new tasks have emerged that acted as a counterbalance to the displacement of workers,” it says. “Similar to the past, the robotics and AI revolution is set to displace a large proportion of the current workforce. But the concern this time is that if robots/AI can learn most of the new tasks, the creation of new jobs may not be a sufficient counterbalance for the loss of obsolete ones. With uncertainty writ large over this revolution, it will be the responsibility of the state to safeguard the interest of all members of society and make sure that those who stand to lose the most from impending disruptions do not fall through the cracks.” The major disruption at Gatwick airport around Christmas in which drone sightings grounded about 1,000 flights raised public concerns about the use of the technology. Leeds and Southampton universities have already been working with the cities of Bradford and Southampton to identify potential challenges and risks and find a safe way of overcoming them. Drones have been used to provide real-time information to firefighters in Bradford to give early warning of structural problems and identify hotspots and people in need of help at incidents. This entry was posted in Smart Cities and tagged AI, drones, leeds, pot holes, robots, self repairing cities, smart cities, smart city, West Yorkshire on January 21, 2019 by Tim Cosgrove. The definition of “Smart City” is seemingly as broad as its potential. To some, it’s about building roadways with sensors embedded in the ground. The next person might view first responders as the best example of Smart City technology. Others include schools and healthcare in their Smart City vernacular. While the definition and scope of Smart Cities is up for debate, most agree on the benefits of these technologies: increased operational efficiency for governments — much of which is based on actionable IoT data — and improved services and quality of life for citizens. “A smart city is a municipality that uses information and communication technologies to increase operational efficiency, share information with the public, and improve both the quality of government services and citizen welfare,” according to TechTarget. Even this excellent definition of a Smart City barely scratches the surface at conveying what’s possible in cities, states, and countries in every area of the world. For many governments, 4G LTE — with 5G on the horizon — and cloud-based network management are providing the reliability, visibility, and flexibility necessary to keep Smart City edge technologies connected to agency networks at all times. Police vehicles ensure access to mission-critical applications and communication tools by leveraging dual-modem in-vehicle routers that support instant failover from one carrier to another, as well as intelligent traffic steering based on performance factors such as latency, jitter, signal strength, and data usage. Whether on campus or on the bus, students are benefitting from 4G LTE solutions that provide constant access to WiFi and to the swiftly expanding number of online education apps that are part of their day-to-day learning. The ability of firefighters to access building schematics, HazMat data, and traffic information en route to a blaze improves response time and better prepares them for the dangerous scenario at hand. With remote access to video surveillance, agencies can capture and analyze video footage to pinpoint and prevent theft, illegal dumping, and other suspicious activity. As 5G rolls out and evolves, live streaming of surveillance footage will become more common. Vehicle tracking, telematics, real-time route data for riders, passenger WiFi, on-board CCTV surveillance, and digital fare boxes are among the many connected technologies used on today’s metro buses. Transit fleet managers also use cloud management tools to make firmware, configuration, and security updates without having to bring every vehicle to headquarters. This entry was posted in Smart Cities and tagged 4G LTE, CradlePoint, LTE, smart cities on July 24, 2018 by Tim Cosgrove. 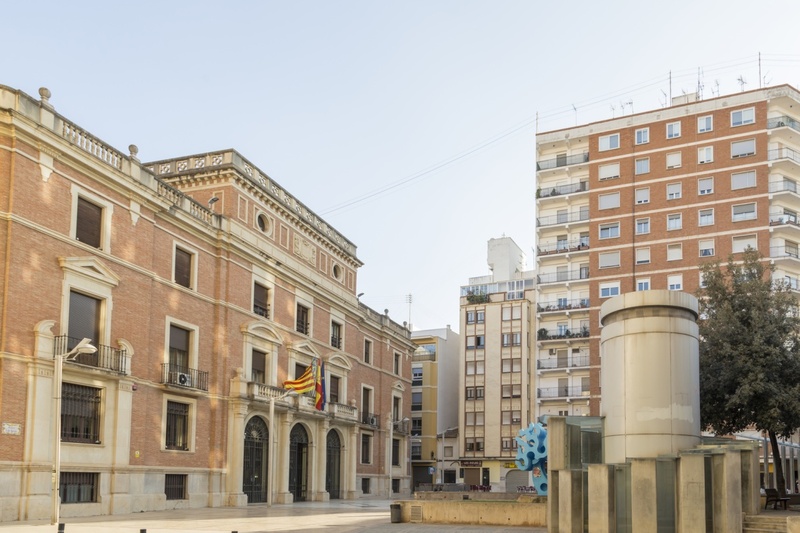 Semiconductor and advanced algorithms company, Semtech, and Internet of Things solutions and services company, IoTsens, have integrated their technology to deliver a smart water solution for Spain. 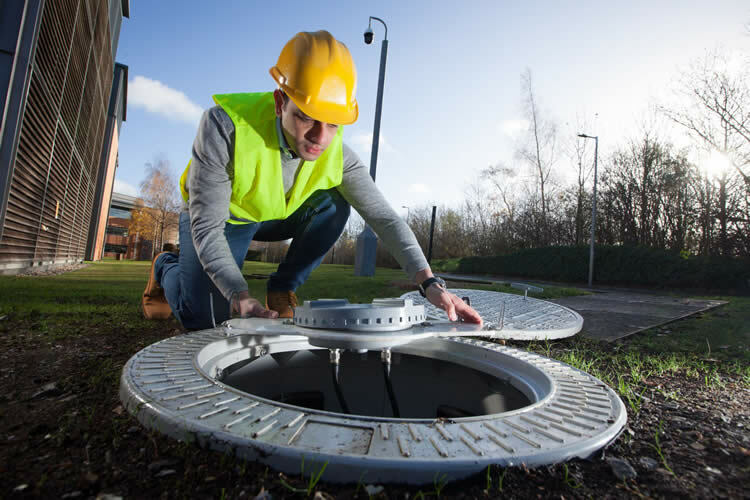 IoTsens entered a joint venture with FACSA, Spain’s leading integrated water management company, to accurately track and control water management in Castellón, Spain. Established in 1873, FACSA provides services to over four million citizens in 70 cities. In addition to smart water metering, IoTsens provides FACSA with sound, air quality, smart parking, and irrigation solutions among other IoT services for its smart city project. A single base station using LoRa technology enables deep penetration capability for dense urban environments and indoor coverage, while also providing the ability to connect to sensors more than 15-30 miles away in rural areas. It provides a battery lifetime of up to 10 years depending on the application and enables tracking applications without GPS or additional power consumption. The technology also reduces upfront infrastructure investments and operating costs, as well as end-node sensor costs and, based on the LoRaWAN open protocol, provided by the LoRa Alliance, ensures interoperability among applications, IoT solution providers and telecom operators to speed adoption and deployment. This entry was posted in Uncategorized and tagged Castellon, FACSA track, IoT, IOTsens, LoRa, LoRaWAN, smart cities, smart water meters on April 12, 2018 by Tim Cosgrove. Stage Intelligence, a provider of bike-share scheme management solutions, has been selected by BKT bicipública, a Central American bike-share operator, to deploy its BICO bike-share management platform. 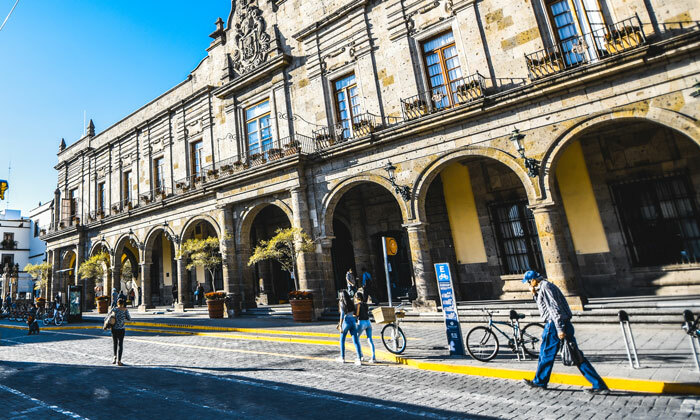 BKT operates the bike-share scheme in Guadalajara and will use the artificial intelligence (AI) based platform to offer citizens an optimised rider experience with the aim to expand their scheme. This is the first time AI will be used in a bike-share scheme in Mexico and BICO will enable BKT to rapidly and efficiently distribute cycles across the city and ensure that riders have bikes and docks available when and where they need them. The Guadalajara bike-share scheme is the second largest in Mexico, serving an estimated population of over 5 million people. “BICO has allowed us to take better advantage of our resources to improve our service and we are focusing on achieving user satisfaction. BICO is an essential part to provide a better service,” said Noé Santana, Operation Manager at BKT bicipública. Stage Intelligence’s AI-based BICO platform uses citywide data and the leading AI-technology to provide actionable insights for operators whilst addressing some of the biggest challenges in bike-share. “The partnership between Stage Intelligence and BKT demonstrates how organisations in the UK and Mexico can collaborate to create greener cities and happier citizens. Thanks to the support of the British Embassy in Mexico, Stage Intelligence and BKT have shown that innovation doesn’t have borders,” said Manuel Mandujano, Trade and Investment Officer at British Embassy Mexico. This entry was posted in Uncategorized and tagged AI, Artificial Inteligence, bike sharing, smart cities, Stage Intelligence on February 15, 2018 by Tim Cosgrove. Cities and public-sector IT personnel must balance a unique combination of community expectations, budget limitations, and employee capacity. As cities become smarter and more connected, community members financially responsible growth. At the same time, it is common for cities to struggle with budgets and for elected officials to be held accountable by the public to ensure they are investing wisely and in ways that have a noticeable impact. Broadly speaking, Smart Cities use technology to collect data, analyze information, share results with different departments, and use those results to drive improvement. They understand how the combination of innovation, technology, and collaboration can truly improve the quality of life and the economic well-being of their citizens and businesses. These services are increasingly essential to a city’s infrastructure. For example, Gartner predicts that by 2020, “streetlamps will be the primary infrastructure for 80 percent of Smart Cities.” While full of potential, these streetlamps can’t fully function as needed without reliable connectivity solutions. Flexible lighting allows city employees to remotely control switches and dimming devices, thereby enabling efficient, timely management. Video cameras and sensors attached to streetlamps also allow cities the ability to track — in real time — which streets have been plowed during inclement weather. Without reliable 4G LTE connectivity, along with devices such as routers that can withstand the elements and be updated through the cloud, cities may focus too heavily on becoming a Smart City without paying enough attention to the logistics needed to fully get there. When cities do fully implement reliable and secure 4G LTE and/or SDN solutions, the effects can be tremendous. The City of San Antonio understood the importance of becoming a Smart City and utilized 4G LTE to assist with traffic management. With more than 1.4 million people and further growth expected, transportation infrastructure is becoming increasingly critical to the city’s quality of life. Its Traffic Management Center needed remote access to monitor key applications, troubleshoot problems, and adjust traffic flow mechanisms (such as timers) in real time. In a city of this size, manual adjustments were no longer a reasonable solution. By installing Cradlepoint’s cloud-managed routing platforms in nearly 700 traffic cabinets and utilizing 4G LTE, San Antonio now has constant connectivity for reliable access, streamlined network troubleshooting and real-time management, easy physical access, and the potential to scale up the network and applications. The City of Boise helped its police department further advance the city toward Smart City status by updating its in-vehicle systems. The department upgraded its devices and implemented NetCloud Manager to enable central configuration, monitoring, and management. Whereas it previously took the city as many as 160 staff hours to complete network updates for the whole police cruiser fleet, it now takes approximately 5 minutes with remote cloud management. The cost savings, efficient use of officer resources, reliability, central network management, network flexibility, and future-proofing of these solutions allow the police department to evolve its technological infrastructure while demonstrating to the public its responsible use of valuable resources. As 5G, often referred to as “next-generation WAN,” becomes more readily available, Smart Cities will have both the opportunity and the obligation to explore how a drastic increase in speeds, combined with a drastic decrease in latency, can better empower their infrastructure, services, and personnel. The ways in which cities become “smart” depends heavily on the wireless connectivity, devices, and networking infrastructure solutions available to and adopted by IT professionals and approved by city leaders. In essence, the effects of 4G LTE, 5G, IoT, and SDN are only as powerful as the solutions that utilize them. Learn more about Smart City drivers, needs, and solutions in our white paper: Developing Smart Cities & Communities. This entry was posted in 4G LTE and tagged 4G LTE, co-star, CradlePoint, smart cities on November 12, 2017 by Tim Cosgrove. HERE, the global leader in mapping and location services, is providing the City of Toronto with real-time and historical traffic data to support the city’s efforts to reduce road congestion and improve transportation services. “Toronto is one of the fastest growing cities in North America, and as the population grows so does our effort to create a smarter traffic management system. We are pleased to have HERE on board to help Toronto’s citizens get around the city quickly, efficiently and safely,” said Barbara Gray, General Manager, Transportation Services, at the City of Toronto. With HERE’s solution, which includes an analytic and reporting tool provided by Iteris, a global leader in applied informatics for transportation, the City of Toronto is developing a new understanding of transportation issues including the impact on traffic of weather conditions, construction works and infrastructure changes. Based on these observations, the city’s Big Data Innovation Team can manage the traffic in real-time and in a smart manner for the benefit of all Torontonians. HERE’s extensive coverage creates visibility to speeds on every single road including arterial roads in the city centre. Not only do arterial roads represent a huge chunk of the road network and are therefore key to a smart network management strategy, their analysis is also complex. Many arterial roads, for example, must accommodate a wide range of users, such as pedestrians, bicycles and cars, with different needs. “We are excited to work with the City of Toronto to turn big data into smart insights that can help alleviate congestion, enable safe road networks and reduce pollution,” said Monali Shah, Director of Intelligent Transportation Solutions at HERE. In North America and globally HERE serves as a vital partner to smart cities and the broader public sector, helping them make decisions that improve the quality of life for citizens. For example, HERE supplies traffic information to several Department of Transportations across the United States, including Alabama, California, Connecticut, Florida, Georgia, Louisiana, Maryland, Michigan, Missouri, New Jersey, Ohio and New York, and is also supporting intelligent transportation initiatives in Colorado, Iowa and Michigan. This entry was posted in Transport and tagged City of Toronto, here, smart cities, traffic data, traffic mitigation on June 19, 2017 by Tim Cosgrove. FROM TM FORUM LIVE, NICE, FRANCE: The different connectivity options set to underpin smart cities of the future are expected to account for between 5 per cent and 10 per cent of the total smart city value chain, providing a multi-billion dollar opportunity for operators such as AT&T which are already investing heavily in this area. 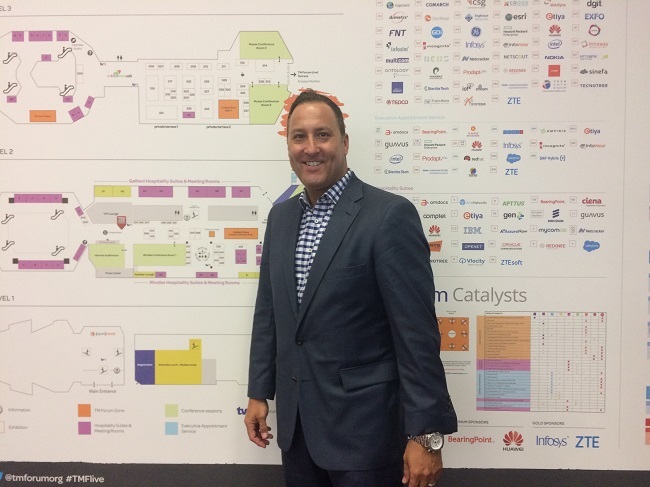 So explained Mike Zeto (pictured), general manager of AT&T Smart Cities, who said the US operator is already planning to take a much larger share than those percentages by “moving up the stack” towards applications and working with partners on the hardware side. Zeto also noted 5 per cent to 10 per cent of a market which analysts such as Frost & Sullivan estimate will be worth around $1.57 trillion by 2020 is a sizeable opportunity on its own. AT&T – which announced its smart city framework in January 2016 and formed strategic alliances with Cisco, Deloitte, Ericsson, GE, IBM, Intel and Qualcomm – is currently collaborating with around nine US cities on their smart strategies, including Atlanta and Chicago. It recently expanded beyond its domestic market for the first time, choosing Dublin as the launchpad for its future European expansion. Zeto told Mobile World Live the Irish capital was an obvious choice, in part because many large US multinational corporations are based there, but also because Dublin and the Republic of Ireland in general are already engaging in a number of Internet of Things (IoT) initiatives and Horizon 2020 projects. He said the fact Ireland would still be part of the European Union once the UK completes its exit had “not really” played a role, but praised cities including Dublin and Cork for breaking down traditional silos and enabling the development of a number of services, including intelligent transportation solutions. In the US the operator is focusing on critical areas with a major impact on the daily lives of citizens. These include smart irrigation systems and the use of IoT sensors to reduce leaks, a traffic intersection network solution to help improve traffic flow, intelligent lighting, and many more besides. Furthermore, in March 2017 AT&T and the First Responder Network Authority (FirstNet) formed a public-private partnership (PPP) with the goal of building a modern, mobile broadband LTE network for first responders across the US. AT&T is investing about $40 billion over the 25-year life of the contract, while the government is investing $6.5 billion. This entry was posted in Uncategorized and tagged AT&T, IoT. TM Forum Live, Mike Zeto, Mobile World Live, smart cities on May 17, 2017 by Tim Cosgrove. How can we ensure Asia’s future cities are both smart, and sustainable? A quick online search on the current most populous cities in the world will reveal a list where half, if not more, of the top 10 cities are in Asia. If you were to walk down the busy streets of Jakarta, Tokyo, Manila or Seoul, you may find yourself thinking that everyone in these countries have moved to the city, and you wouldn’t be far from the truth. We are undergoing a major rural to urban demographic shift. There are already more people living in cities than in rural areas, and the United Nations estimates that by 2050, almost 70% of the world’s population will be city dwellers. With so many people moving to cities, how cities are structured will impact the lives of billions of people. In some respects, this elevates cities above nation states as significant incubators of innovation, enterprise, and social progress. At the same time, the required pace of change, especially now where we face global economic, environmental, and social uncertainty – creates a raft of challenges to sustainable development. It’s crucial that cities adopt smart, sustainable development practices. Harnessing the potential of ICT and connectivity will enable cities to thrive without their development taking a major toll on already-scarce resources. ICT allows people, knowledge, and devices to be networked in new ways, and cities that embrace ICT’s potential can create new value, operate efficiently and benefit from significant return on investments. All this adds up to more livable, more attractive, and ultimately more competitive cities, as well as the potential for people to pursue a more sustainable urban future. It is also addressing sustainable urbanization which includes the dynamic between urban and rural areas. The significance of cities is well recognized in the UN Sustainable Development Goal 11 – sustainable cities and communities. If we go back to considering the most populous cities in Asia, each city faces many complex problems that require different types of action – but we see that a common enabler across the board is Information and Communications Technology. A paper published in 2015 by the Earth Institute at Columbia University and Ericsson, states that ICT can accelerate the achievement of the SDGs. This is in line with our own research and beliefs in Ericsson about ICT and its potential to help create the cities of our future. Higher ICT maturity levels for cities are associated with more opportunities to transform lifestyles and economic prospects. For ASEAN countries, broadband, based on a combination of both fixed and wireless technologies, can help significantly accelerate sustainable growth in cities. Therefore, there should be a national agenda when it comes to broadband and concerted efforts to improve the business case for these investments. By releasing more spectrum with sustainable economics to the key players in the market, governments will better enable broadband investment from private industry. Education in terms of digital literacy and new technologies is also needed. This combination of infrastructure and capability will help create smart cities. This entry was posted in Smart Cities and tagged ICT, smart cities, world economic forum on May 15, 2017 by Tim Cosgrove. During the holiday season, or just on busy weekends, you’ve probably gone out for a walk only to be met with overflowing trash bins. It does nothing for the ambiance. Streets marked by litter and noxious smells detract from quality of life and give a poor impression to tourists (to say nothing of the associated health hazards). It’s an obligation for municipalities and authorities to ensure litter-free streets, of course, but balancing that necessity against increasingly squeezed budgets isn’t easy. Even wealthy cities are struggling to provide basic services, and a large town will typically spend about $15 million per year on waste collection. Ensuring an efficient waste management strategy can result in significant cost reduction—but many cities are left frustrated as they grapple with how to improve efficiency. Waste and recycling are typically collected using fixed routes and schedules, without taking into account whether bins are actually full. This can leave trash brimming over in popular commercial locations, with cities incurring additional costs since collection teams must make emergency visits to these areas, even as they waste time at low-volume sites that don’t need attention but are on the scheduled route. Smart bin sensors and mobile connectivity offer a new way of monitoring collection sites. Sensors can be fitted to any container in a matter of seconds, allowing cities to closely monitor fill data. This monitoring is usually performed by ultrasonic technology that can automatically detect different surfaces and waste types. The collected data is then transmitted wirelessly to the cloud, where it can be used by waste management companies to not only monitor when containers need emptying but also to provide insight into popular locations and usage patterns. This system essentially allows waste management administrators to create demand-based collection routes, increasing or decreasing collection during weekends or busy seasonal periods, for example, or altering fee scales according to usage. Some sensors can even measure internal temperatures, meaning that garbage bins approaching critical levels can be attended to. Bin sensors are sometimes equipped with SIM cards, which means that they can use existing telecommunications networks to communicate with waste management companies. New sensors connected via low-power wide area technology offer a long-term, cost-effective solution. In short, IoT sensors provide a better option for cities looking to maintain sustainable, connected growth. And despite being non-mission-critical, data from these devices is still collected in near-real-time. Drivers can receive information directly on a tablet or smart device and alter routes on the fly. So, for example, instead of visiting four bins—two of which are 90 percent full, and two of which are only 20 percent full—as would be the case on a traditional route, an optimized route would only require a visit to the two full bins. This cuts the collection route by 50 percent, resulting in significant savings in terms of fuel and driver hours. Smart waste management based on this technology has reduced direct costs by up to 50 percent, and some city projects have seen a total cost reduction of up to 80 percent, including significant savings on fuel, driver hours, and equipment wear and tear, not to mention lower exhaust emissions, a reduced carbon footprint, and a cleaner, healthier environment for citizens. As each sensor is equipped with GPS tracking, the exact location of every container is always known as well, preventing lost and stolen bins, which can add up to a significant annual cost for municipalities. In the future, technologies may become even smarter by, say, recognizing different types of trash, thus predicting the value of recyclables at each location, or even using social media to broadcast their status, allowing citizens to choose which locations they will use when recycling. For municipalities moving towards smart city status, such intelligent monitoring can transform waste management policies, not only reducing monetary costs and strain on time and resources, but creating a world-class environment for citizens and visitors alike. Co-Star the UK based distributor to the ICT industry supply the full range of Sierra Wireless Gateways to make connected smart city initiatives a reality. This entry was posted in Sierra Wireless and tagged bin sensors, co-star, co-star harrogate, IoT sensors, Sierra Wireless, smart cities, smart sensors, waste management on April 19, 2017 by Tim Cosgrove.